An Allegorical Lampooning of Stravinsky? Serge Sergeievich Prokofieff was born in Ukraine on November 23, 1891. At the age of 11, he began studying piano, theory, composition, and orchestration privately with Reinhold Glière. He entered the St. Petersburg at 12, and many of his student works remained in his permanent catalogue, although often undergoing years of revision, including the first, third, and fourth piano sonatas and the Sinfonietta. Most of Prokofieff's early work is music for the piano, and in his early years, at any rate, he was as much a touring virtuoso as a composer. In 1913, Prokofieff visited western Europe. His most important stop was Paris, where he first heard Maurice Ravel's Daphnis et Chloé and Igor Stravinsky's three early ballets. The relationship between Prokofieff and Stravinsky was a strained one, although Stravinsky, particularly with The Rite of Spring, did succeed in influencing his countryman. Prokofieff entered his "barbaric" period, typified by Sarcasms (1914), the Scythian Suite (1915), the cantata They are Seven (1918), and the ballet Chout (1919). Prokofieff also help to pioneer, at least two years before Stravinsky, the modern neo-classical style with his Classical Symphony (1917). In the Twenties, these two tendencies of his coincided, with the second and third symphonies and the second piano concerto representing his barbarous gigantism and his quintet the pared-down neo-classical aesthetic. The Russia Revolution had caught the composer in the West. He made several tours of the Soviet Union, where officials feted him. In the United States and in Western Europe, he felt economically on the edge and rather sour on the lack of support for Modern music in general – this, despite that he had led a fairly successful career. In 1936, he emigrated to the Soviet Union for good. This may have been the source of Stravinsky's acid comment, "Outside of music, he's an idiot." Many have speculated on the reasons for his return. Part of it may have to do with his sense of coming in second to Rachmaninoff in the U.S. and to Stravinsky in Europe. 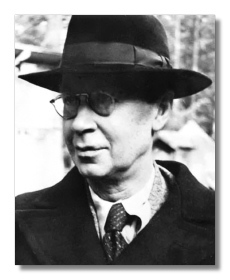 Within Russia, Shostakovich had found himself in dutch with Soviet officialdom, so Prokofieff may well have thought the younger man out of the running as a serious rival. During the Cold War, a great deal was made of the change in Prokofieff's music from the freedom-loving (or evil-doing) West to the Glorious Motherland (or Evil Empire). In truth, a straightforward lyricism was always part of Prokofieff's artistic make-up, shown by such works as the 5 Melodies of 1925 and the suite from the film Lieutenant Kije, as well as by Prokofieff's predilection for opera. Actually, Prokofieff initially had little difficulty adapting to Soviet policy. He applied himself to genres favored by the regime: band music, music for children, works inspired by folk tales, and so on. However, he increasingly found himself caught between increasingly contradictory dictates from the commissars. His music was either too complex or too simple. Actually, he wasn't alone in his troubles. Soviet aesthetics had much to do with control over writers and artists. Most of the tenets of Socialist Realism (the doctrine of Stalin's regime) were aesthetically empty. About the only Prokofieff score well-received by the Soviet critical flacks was the cantata Alexander Nevsky, based on music for the Eisenstein film. Indeed, one of the greatest film scores of all, it exercised immense influence on film composers worldwide. Much of Prokofieff's Soviet work concentrated on music for film and theater, including the ballet Romeo and Juliet, the operas Semyon Kotko, Betrothal in a Monastery, and most notably War and Peace, the film score to Eisenstein's Ivan the Terrible, and the ballet Cinderella. In addition, he added to his catalogue a few "absolute" works: his cello concerto, a Sinfonia Concertante for cello and orchestra, symphonies 5 through 7, piano sonatas 6 through 9, two violin sonatas, and a second string quartet. Few of these works enjoyed much success in the Soviet Union during the composer's lifetime. Prokofieff's troubles with the regime increased after World War II. In 1948, he was caught up in the Party's condemnation of the most prominent Soviet composers, also including Miaskovsky, Khachaturian, and Shostakovich. He was also a very sick man, and indeed, never really recovered. He died on the same day as Stalin, ironically enough, March 5, 1953.